Now holidays are over, I am back to wearing red nail polishes (I wore non-reds around that time). 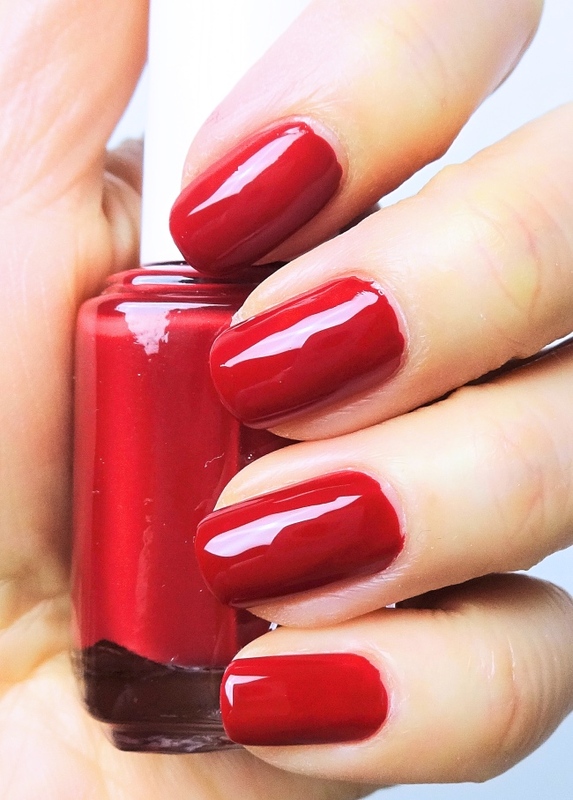 Most of my red polishes are creme, and I must have at least five ruby red shades that look alike Essie Shall We Chalet?. Among the similar that I have, I think I prefer Forever Yummy or A-List. The difference is quite minuscule that I can't explain it well, but one is always a hair darker or a tad glossier than others. I wonder if this is why people (I mean, I) end up with a pile of red nail polishes. Here, I am wearing one coat of Essie Shall We Chalet? with Essie First Base and Seche Vite Dry Fast Top Coat. Don't get me wrong. Shall We Chalet? is an excellent red creme. It is bright yet not gaudy and would look gorgeous on any skin tone regardless of the fact that it leans cool. It applies with ease and covers fantastically well. Shall We Chalet? is, in fact, a one-coater. Yes, you can achieve a full, even coverage like the photos with just one application. Maybe I am skilled in polishing my own nails, but I don't call everything a one-coater. Wear time is pretty good too - you can go on for a full week if you are equipped with good top/base coats. I usually take the color off when I see the tip wear, not because they chip on me. I may not be in love with the shade, but I think Shall We Chalet? is a great utilitarian red for me. 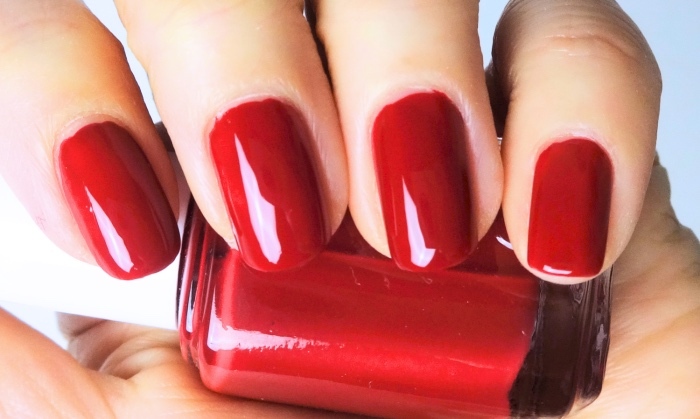 Do you have any "practical" nail polish that you reach for often, even if you're not crazy about it? You have such pretty nails and you always do a great job polishing them Lena! I actually got a mani today and I'll be lucky if it lasts the weekend LOL ;p Good thing I washed and prepped all the veggies I'm making for dinner tonight when I did the ones for last night. Thanks, Rowena! <3 I find it almost weird that nothing really chips on me and I do dishes without gloves on (at least 3-4 times a day ever since Dooney came along). I don't cook much, though. BTW, I'm trying to have one veggie day a week this year - inspired by you! Oh I really love it this color!